POSTED: Wed, 02/01/2017 - 17:00 | POSTED BY: Traci C.
Happy first day of February! We made it! 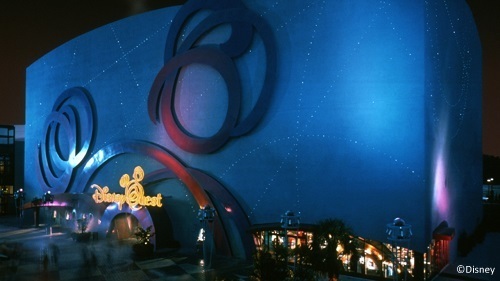 In today's Disney news round-up we have a variety of things to check out including the announcement that DisneyQuest is closing for good this summer, and a new patent has been filed by Disney. Let's check it out. Remember back in 2015 when Disney announced that The NBA Experience was coming to Disney Springs? No? Well, it's officially official now. The NBA Experience is really coming to Disney Springs, and to make way for it, DisneyQuest is closing forever on July 3. There is no word yet on when The NBA Experience is opening, but we'll keep you posted. Disney has filed a patent for attractions that can be controlled by a guest's emotions. The patent is called "Sensing and Managing Vehicle Behavior Based on Occupant Awareness." Basically a camera on an attraction would read a rider's facial expressions and adjust accordingly. Sounds intriguing. Travel + Leisure is talking about the new Welcome Show at the Magic Kingdom and has a few tips for how to change up your "must make rope drop" schedule now that Main Street opens for everyone before the park officially opens. We're seeing reports that Disney's Hollywood Studios might be cutting back on Extra Magic Hours after the end of this month. And finally, from the "Don't Buy Your Disney World Tickets on Craigslist" file, a Florida man has been charged with selling fake Disney World tickets on Craigslist (he was also posing as a Disney World cast member). Just remember: buy your tickets from Disney World or an authorized agent (like a travel agent), not from some guy on Craigslist who wants to meet you at the Orlando airport. What do you think about the announcement of The NBA Experience coming to Disney Springs? Let us know in the comments.